On Thursday 11 May, Year 10 UTC Swindon students took part in an exciting engineering challenge. 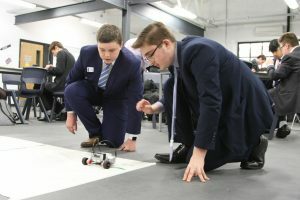 The challenge was set by STEMworks, a not for profit company that works with schools and other organisations promoting STEM skills, and NATS, a global leader in air traffic control and airport performance. 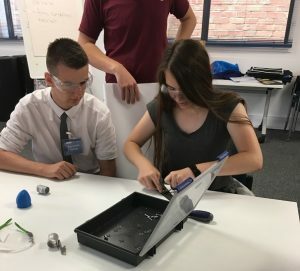 Students were divided into teams, competing against each other for the chance to take part in the final of a competition at this year’s Royal International Air Tattoo (RIAT) in July. A global pharma contract development and manufacturing organisation is developing a pipeline of new talent with the support of UTC Swindon. Patheon provides an end-to-end supply chain solution for pharmaceutical and biopharmaceutical companies. With a UK base in Swindon, the company serves more than 400 clients around the world. The company first made contact with UTC Swindon as it prepared to re-launch its apprenticeship programme, after a gap of around 15 years. 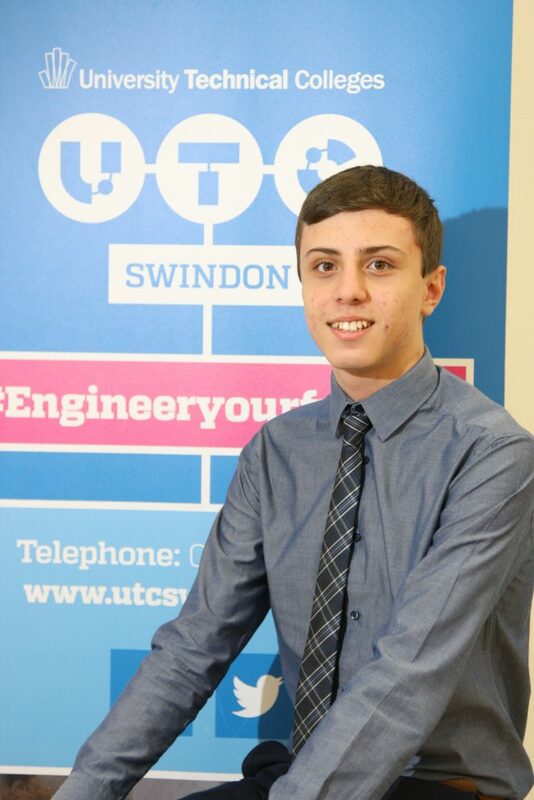 Read our case study to find out more about Patheon’s relationship with UTC Swindon and student Gareth Wilson’s offer of a place on this year’s apprenticeship programme. Last week, 14 Year 10 students went to GKN Filton to participate in their “Seeing Inside Manufacturing” open day. The day began with an introduction and health and safety briefing, including an explanation on how GKN manufacture the wings for planes. Students were then taken on a tour of the site to see various manufacturing techniques, including 3D printing, which were explained by GKN employees. They were able to see where the wings are manufactured and walk around the manufacturing area. After lunch, students were divided into groups and given a task. They were required to construct parts of a plane without any instructions, which led to them realising that the parts they were given didn’t all fit together. GKN then supplied teams with instruction booklets and they had to go to the apprentices to collect the necessary parts they didn’t have. We are delighted that Year 13 UTC Swindon student, Kate Kerrane, has been offered an apprenticeship with the Royal Navy. Kate’s family has always worked with the Royal Navy, which sparked her interest in joining the force several years ago. She originally applied for a job, but when they saw the qualifications she was working towards they put her through a test to see whether she would be more suited to the apprenticeship scheme instead. 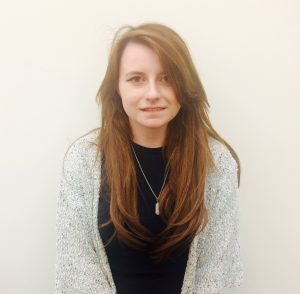 By completing an Aviation Engineering Apprenticeship, Kate will gain a Masters qualification after three years rather than 22 years if she were to join as a Regular. 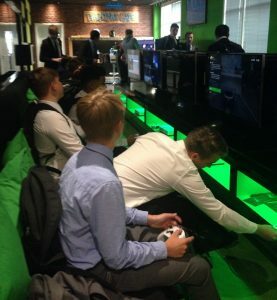 On Monday 12 June, UTC Swindon students were given the opportunity to visit Microsoft Headquarters in Reading to experience a taster day for their Get On programme. Get On is Microsoft’s initiative to help 300,000 young people get inspired, get skilled and get a job, through holding inspiration events, attending schools and careers fairs and working on a work experience programme. During their visit, UTC Swindon students were able to explore the campus and take part in a variety of interactive activities. 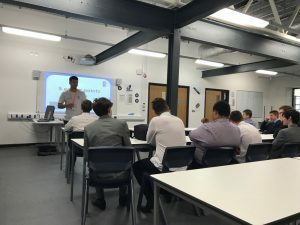 Following an introduction and icebreaker quiz, apprentices and interns inspired our students by speaking about their experiences and how they got to where they are now. On Wednesday 21 June, the whole of Year 10 took part in a wellbeing session run by a representative from Swindon Borough Council. The workshop included guidance on healthy eating, physical activity and how to stay healthy through exams. Students were able to take part in activities and discussions throughout the session, sharing ideas and receiving some highly valuable advice from Jon Dunn, Active Lives Officer at Swindon Borough Council.